We’ve set the clocks forward, we’re hunkered down for the last bit of winter weather, and the crocuses are beginning to stir in their beds. Spring is almost upon us! Throw open the windows, beat the rugs, and get to work on all those niggling tasks that have been staring you in the face all winter! Check your smoke alarms. Of course, you do this monthly, right? Well, do it now. Test them and change the batteries. 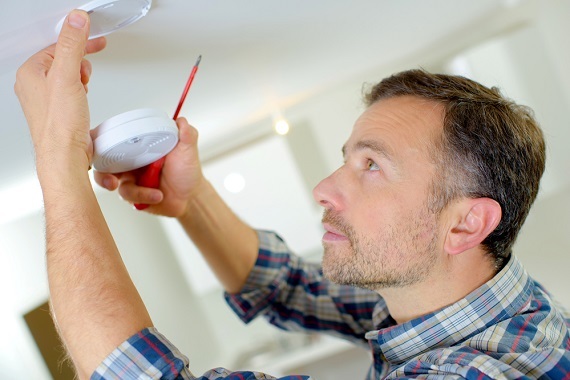 Check your carbon monoxide detectors. You should have one of these centrally located outside bedroom doors, and at least one on every level of your home, from attic to basement. Take the time to make sure they’re working correctly and to swap out those batteries. Make a Family Emergency Plan. The time to figure out what you’ll do in an emergency is before the emergency happens. Review the plan with your family. Make sure the plan includes a fallback communication method. Prepare emergency kits for your car and your home. Take stock of your emergency supplies. For more tips, hit up the National Safety Council. We also posted a useful post last year that you might want to check out: Spring cleaning hacks & tips to make the job easier – there are some good videos and don’t miss the home maintenance tip sheets from Bob Vila and Martha Graham. Ever wonder why the heck we even go through the changing of the clocks every spring and fall? 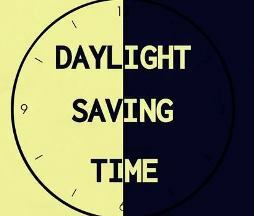 Check out this great DST video explainer.